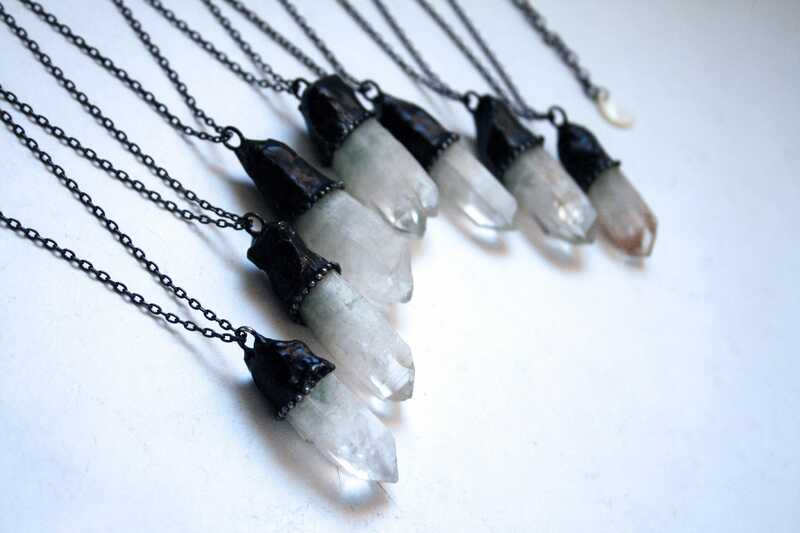 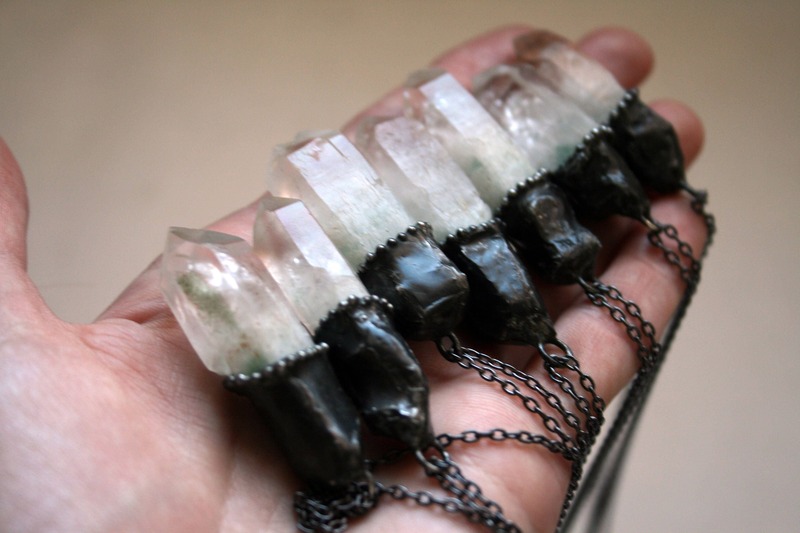 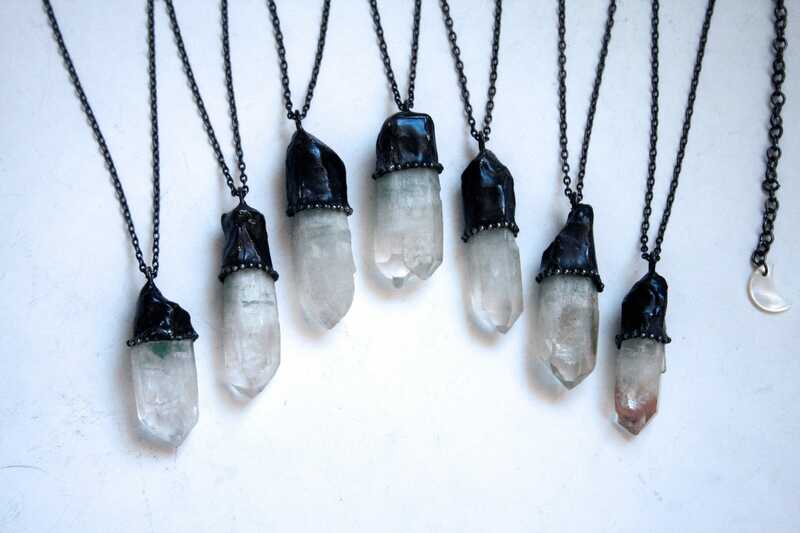 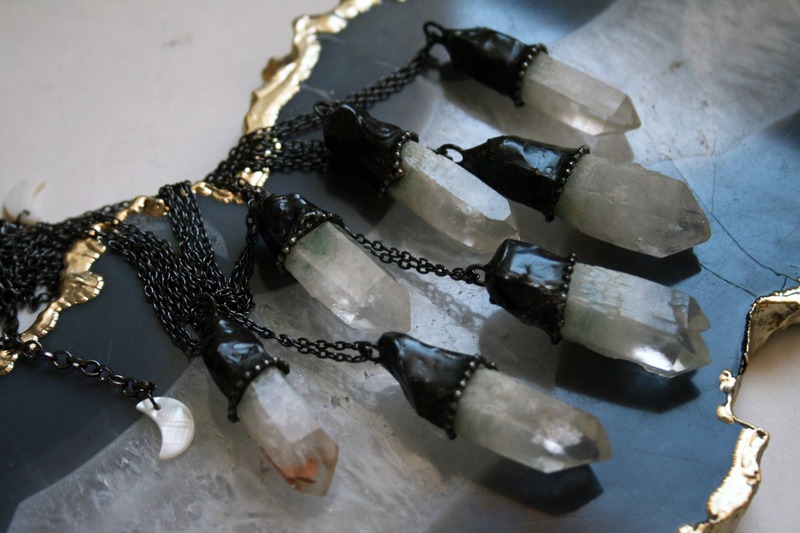 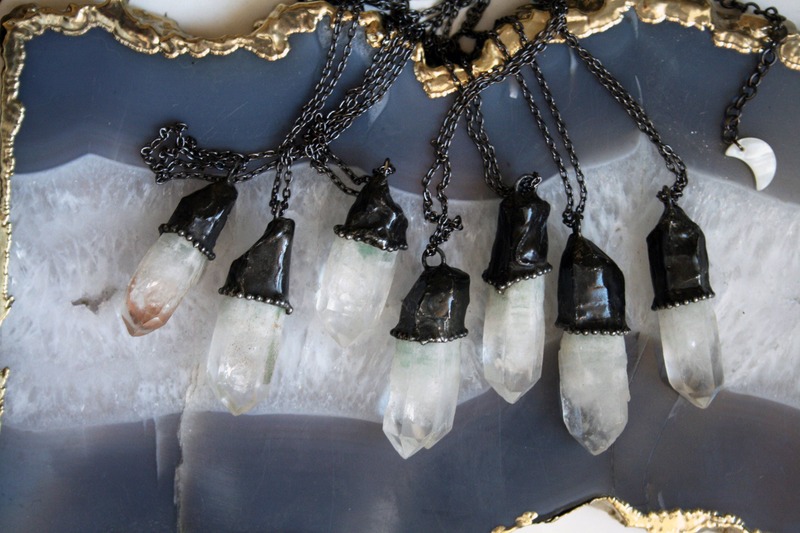 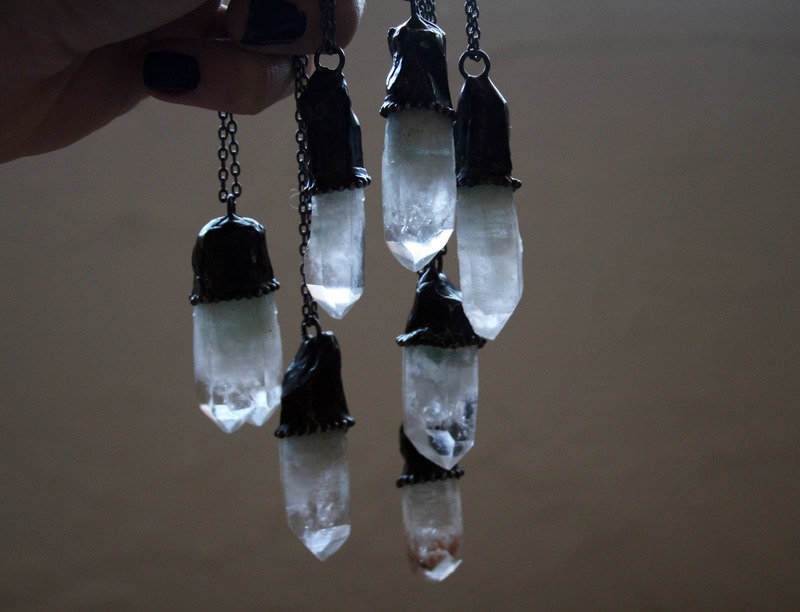 One necklace featuring a terminated tibetan quartz crystal point with subtle mint green mineral inclusions near the top center, set in a handmade sculptural silver alloy solder setting, hanging from a gunmetal plated brass chain. 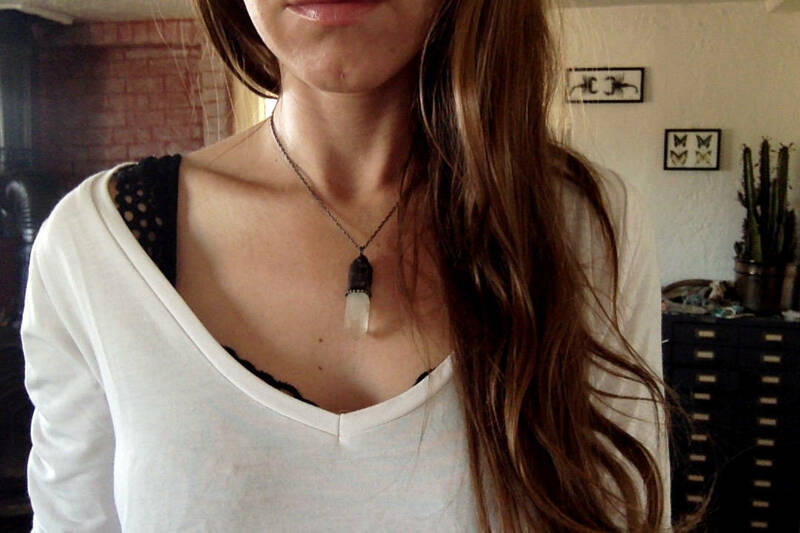 Chain is adjustable between 16" - 19" long, with a lobster clasp, and a tiny mother of pearl crescent moon charm. 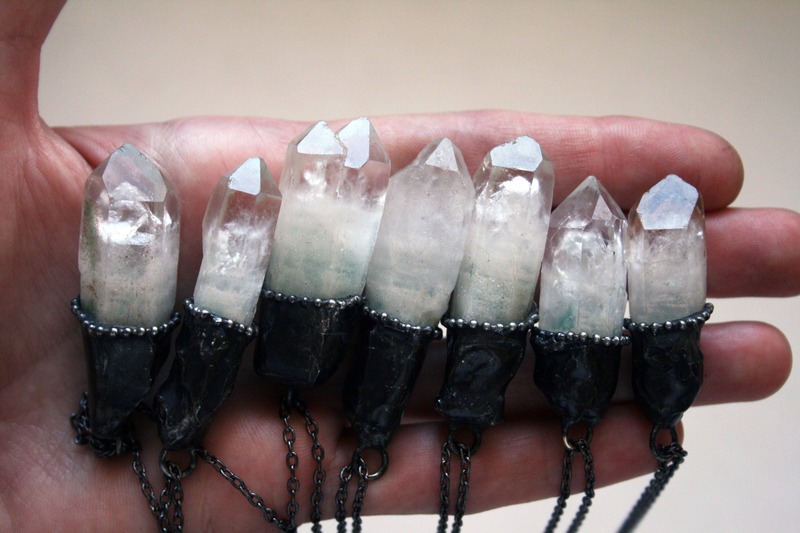 Pendants each hang about 1.75" - 2.15" long, including the bails.